Net66 SEO: Another Link Network bites the dust. Google have recently ran a string of stings on link networks. They’ve moved away slightly from link networks but are still targeting large organisations who orchestrate the selling of links. 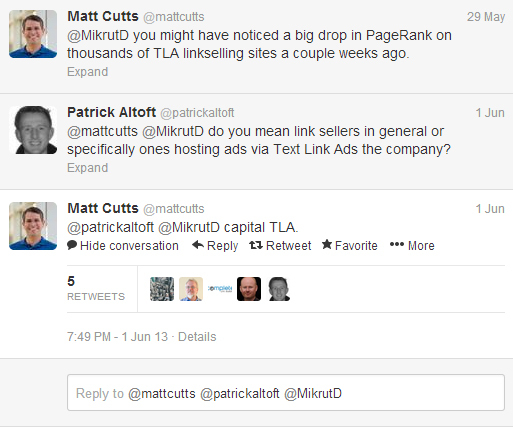 The latest neck on which the Google axe has swung is the link seller Text Link Ads (TLA). Along with the SAPE network and Interflora getting penalised, you can see Google are taking bad SEO practices seriously.